Your budget is tight but you need more business. Target new customers through social media. 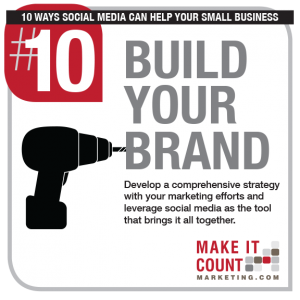 Here are 10 ways that social media can help grow your business. Demonstrate Your Expertise. Post your own articles, re-post or retweet other articles. You become their resource of information. Get Found! Adding social media to your marketing mix increases search engine optimization. So you are more likely to be found as a result of a search. Create a Spark! One mention, notification or view of your profile and you might spark a discussion that can lead to business. Build Your Brand. Develop a strategy and social media can dramatically enhance your marketing efforts. Be Remembered. The trick is to be remembered when prospects need your services. Social media helps you keep in touch with prospects. Touch Your Clients. How many touches does it take to close business? Social media can be one, or several, of your touches. Build Relationships. Sometimes it’s difficult to follow up with everyone you meet. By connecting with them through at least one social media site you help nurture the relationship. 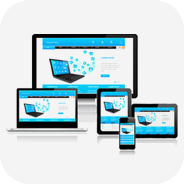 Retarget Visitors. Prospects visit your website. Social media extends that relationship so you don’t lose them. Increase conversion rates. Track Results. View your statistics monthly and see it working. Grow more adept as you understand what customers are looking for. Save Money. There’s a little bit of time involved, but social media is cheaper, and very effective in delivering the right customer to your front door. Social Media – It’s not hard. It’s not expensive. It works. What’s holding you back? Let us help. Give us a call at 301-467-2501.